I can’t resist making an easy buck. Some part of my mind still thinks I’m in my early 20s, earning $25k a year, instead of being nearly 40 and earning much, much more than that. So, I take on freelance work and odd little side gigs, as long as they pay enough. I don’t think I’m entirely alone in this hustle; I have friends in their 30s who still babysit, dogsit, or do other little favors for cash or beer. I mean, I don’t have kids, so what else am I doing to do with my free time? Go out and spend money, or stay in and earn more money? Plus, I get to work on some really cool projects! The first thing I noticed when I arrived was that the participants were overwhelmingly college-age females. The second thing I noticed was that there was no scent of food in the air. There was no scent at all. Third, no one was talking. After we all checked in, they took us to another room where we found the desk that matched our assigned number. 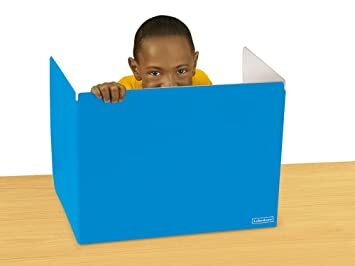 Each desk was boxed in with those cardboard barriers they made us use during tests in elementary school to prevent cheating. The desks also had tiny laptops on them. We sat down, silently. A woman came in, gave brief instructions, almost the only words spoken the whole time, and then several women in white outfits and hairnets distributed the first round of samples. We provided all feedback via the laptops. No one asked us anything, and the software we gave our feedback through didn’t even have free response fields. When we were ready for our second sample, we raised our hands, and the ladies in white came back out bearing trays with the next round. A few people broke the silence to murmur thanks. One lady who was probably around 60 felt the need to announce loudly that she was ready for her next sample, a jarring vocalization that made half of us jump out of our chairs. And that was pretty much it. When we were finished, we got up, collected our payment, and went out the door. I’m rather surprised they paid that much for what we provided them. If it were me, I’d want a lot more information for my $50. It wasn’t even a specialty or novel product. But I suppose the whole thing was run by a large food company with lots of money to spend. An added benefit to me of this gig was that the research was conducted in a neat little venue in Boulder that I’ve been curious about for some time. I think it might just be the perfect place for me to throw myself a 40th birthday bash next year! You might be wondering if I would buy the product I tested if I saw it in a grocery store. Well, I can’t because they never told us the company or brand we were testing for. If I knew, I might. It’s something I keep around the house for those nights when there are no leftovers in the fridge, I’m too lazy to cook, and I’m even so lazy that I can’t bother with takeout. But I’ve become a damn fine chef in the last year (although maybe not the best food photographer) so I much prefer my own delicious, yet loose, interpretations of recipes I find.